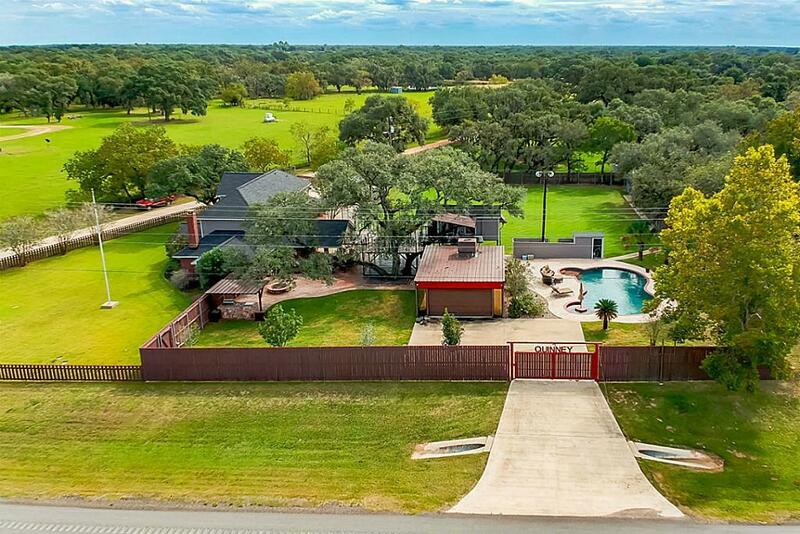 Entertainers dream home located in Sheridan, Texas. Welcome home to your own recreational property with outdoor living at its finest! 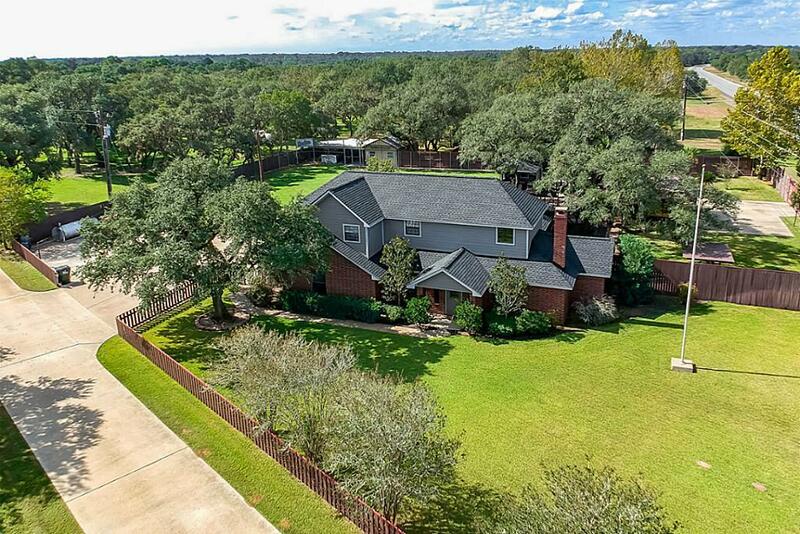 3/2 home with new roof, updated kitchen and bath on corner 0.88+ acre! Commercial grade lighting illuminates your own private baseball diamond! Enormous backyard area with a 720 SF a/c private glass building used as a personal gym! A gorgeous in-ground pool surrounded by sundeck and palm trees with a sunning shelf and sunken table with seating. 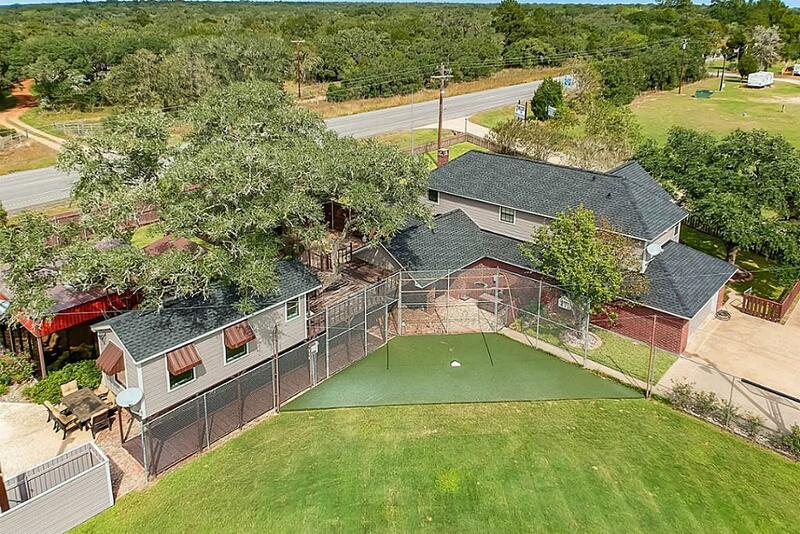 A huge covered patio with fire pit and outdoor kitchen is constructed around two century old oaks. Steps from patio lead you to a shady upper party deck where you will find built-in table and seating, covered wet bar, a commercial grade smoker along with an enclosed a/c 400 SF office/studio space! The property has two entries, one which is gated. 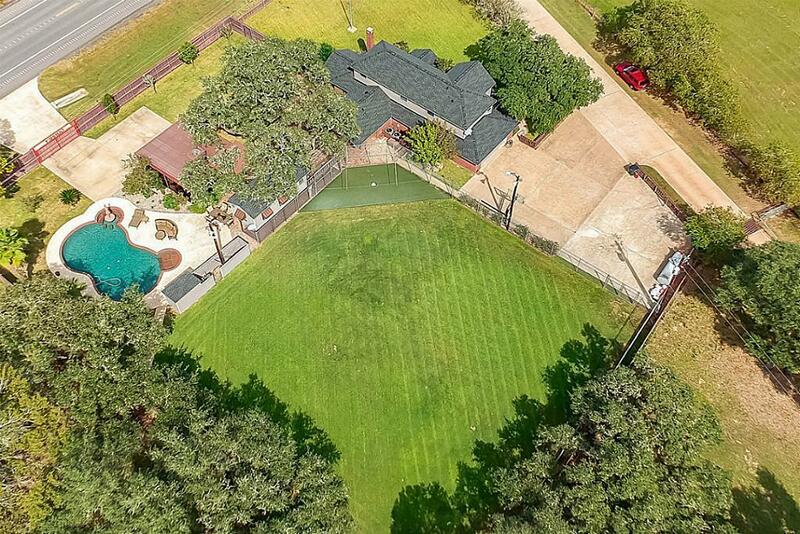 This home is a must see "field of dreams! Measurements approximate, taken from Colorado CAD. New survey available.